Intoxication manslaughter cases in Texas occur too frequently in the state of Texas. What makes the cases even worse is that it is usually an innocent victim who is killed by the drunk and the drunk escapes relatively unharmed from the collision. Organizations such as Mothers Against Drunk Driving (MADD) have for years shown great interest in these cases and often help support the prosecution of the intoxicated drivers as part of their advocacy to get people to stop driving drunk. Our car accident lawyers support these efforts and others because there is no excuse for drinking and driving. While many of the intoxication manslaughter cases revolve around the criminal statute, the statute can also be used as a civil cause of action. This is beneficial to the injured party because the Texas Legislature has stated that punitive damages, or exemplary damages, are not capped if you can meet the elements of the “cause of action” in this type of case. However, subsection (c) of this Statute provides a number a claims that are exempt from this cap. Two claims that are specifically excluded from the cap are intoxication manslaughter and intoxication assault. This allows you the ability to seek a large punitive damage award from the jury. 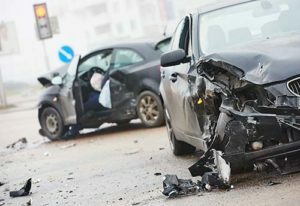 If you think you were involved in such an accident and want to seek a legal opinion to explore your options, seek the help of a legal professional right away. In a 2007 intoxication manslaughter case in Texas, a judge’s daughter was convicted for a drunken driving crash that killed her boyfriend. She was given probation and only served four months in county jail, the minimum under state law, causing outrage to many Texas residents who thought she got special treatment. A jury found this young woman responsible for the death of her boyfriend when she crashed her Lexus SUV into the back of a box truck. Two blood tests after the accident showed the young woman’s blood alcohol concentration to be twice the legal limit — 0.26 and 0.28 percent. Although the young woman’s defense claimed the truck veered out in front of her, the jury found her guilty based on the overwhelming evidence that she was in no condition to drive. Her boyfriend, who died in the accident, was hanging out of the passenger window of the car and was also later found to have been heavily intoxicated. The two had been out drinking before getting in the car. Although this case drew an overwhelming amount of attention because the young woman was the daughter of a judge and was minimally penalized, hundreds of other intoxication manslaughter accidents happen in Texas every year that are not highly publicized. According to the latest data from Texas Department of Transportation from 2015, there were 960 fatalities in crashes involving DUI, one of the highest in the nation. Texas has historically had one of the highest rates of drunk-driver related accidents and fatalities in the nation, and it continues to be a huge public safety problem. This problem is one of the reasons Sutliff & Stout gives away free cab rides on drinking holidays. While we are all for folks having a good time, people must be responsible when they have had too much to drink. 240 to 800 hours of community service.